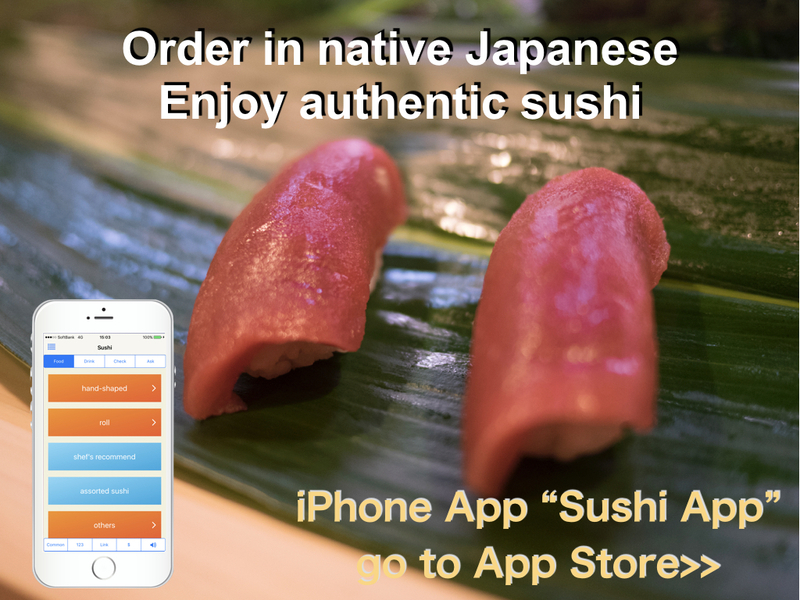 Chinese Char Siu is roasted literally, but Japanese Char Siu is a little different. It is roasted and simmered. I think Japanese style Char Siu is tender than Chinese original Char Siu because it is simmered. 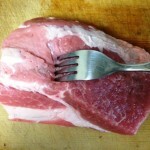 If you want to enjoy the taste of pork, it would be better to slice as much as thick. 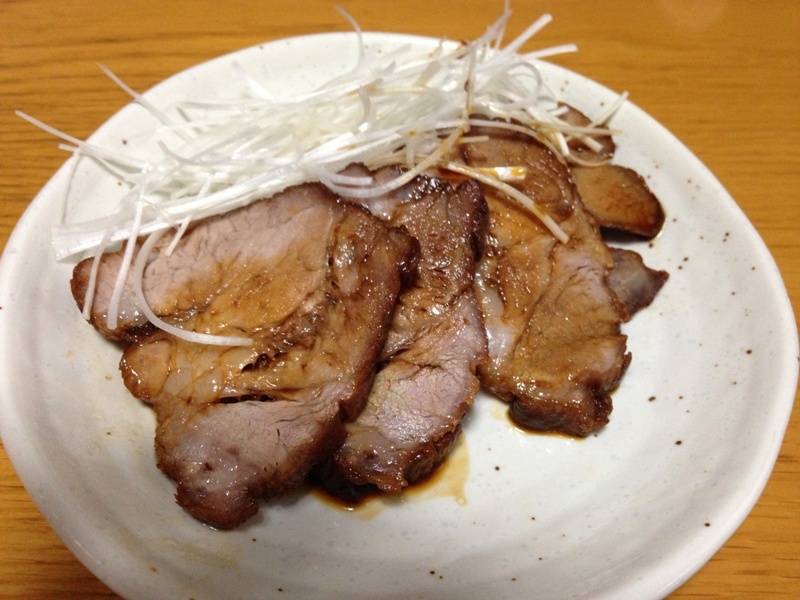 Because this style Char Siu is tender, you can enjoy thick sliced one. It is served, of course, on top of Ramen, and also we sometimes eat it as it is or Char Siu Rice Bowl (Donburi). I sometimes make it by myself because I want to enjoy thick sliced one. 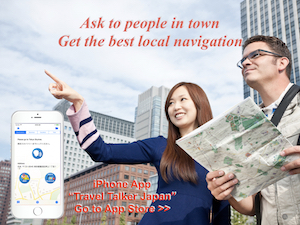 Maybe you have eaten thin sliced one at Ramen shops. If you make it by yourself and can slice as thick as you like, you’ll never go back to thin one. 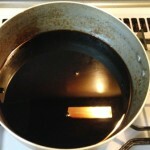 2) Mix Soy Sauce and Mirin in a pan and heat it until boiled. 3) Pour some cooking oil in a fry pan and heat it on strong heat. 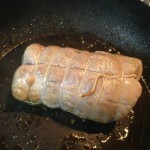 Grill the all sides of pork meat until golden brown. 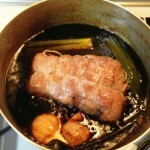 4) Put the grilled pork meat in the boiled sauce and put Garlic, Ginger and Leek. Heat the pan on small heat for about 45 min. 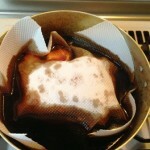 Place a cooking paper on top of meat as a lid. Flip the meat over sometimes on the way. 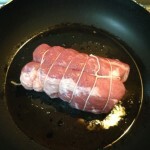 If you put a skew into the meat and transparent liquid (oil) comes out, it is the sign to be completed. 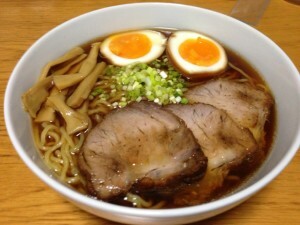 However many ramen shops cook pork belly, I prefer shoulder part. Because I want to enjoy meat taste. Some ramen shops are using shoulder, and each shops has their original sauce to simmer. Even if you like pork belly, this recipe can be used. When I made Char Siu, I enjoy not only as ramen or Hiyashi Chuka (Cold Ramen) topping, but also as it is or an ingredient of Char Han (Chinese style fried rice). It’s a different kind of broth to Katana-Ya. Kirimachi Ramen has a tehikcr and more flavorful broth which I prefer. But some prefer the clean and light broths such as Katana-Ya. I do accept as true with all the concepts you have offered in your post. They are very convincing and can definitely work. Still, the posts are very brief for starters. May you please lengthen them a little from next time? Thank you for the post.